Harrison Barnett is waiting for a new kidney transplant and would love to get a card from you. 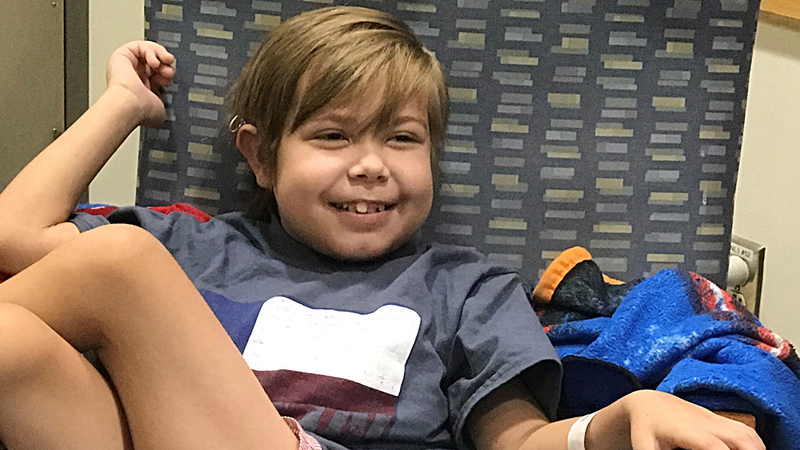 At nine years old, Harrison Barnett has already been through so much. He was born with kidney disease and had a transplant at age 2. The transplant failed, and he's been receiving dialysis since then. He was scheduled to get a new kidney last week, but it's delayed because his body just isn't ready yet. His family lives in Wilson, but Harrison is currently at UNC Health Care receiving treatments preparing his body for the transplant. One thing that brightens his day is getting cards from people. His mom Rebecca says, "The other night he and I opened about 60 cards that he had received and we had so much fun." Harrison is a huge NC State Wolfpack fan, and just like any third grader, he loves Legos, Starbucks hot chocolate, and Chick-fil-A. Rebecca says Harrison also loves looking after the babies in the hospital. Despite having kidney disease, Rebecca says it has never slowed him down. If Harrison's body is ready, the transplant date is set for 12/22. She says cards are keeping him strong. She adds, "I think now that he is older, he really understands just how many people are praying for him and that so many people want nothing more than for him to get a kidney, if not for Christmas, but in 2018."